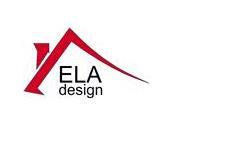 ELA Design - Architectural Services based in Broxbourne, Hertfordshire. Plans for Extensions, Loft Conversions, New builds, Building regulations, North London & surrounding areas. ELA Design aims to provide the householder with a best advice source for all aspects of extending your home. From information on Planning and Building Regulations approvals to advice on hiring builders, we can provide you all the help you need. From a simple home extension, conservatory, a loft conversion or your own dream house, you can browse our pages for all the information you need.